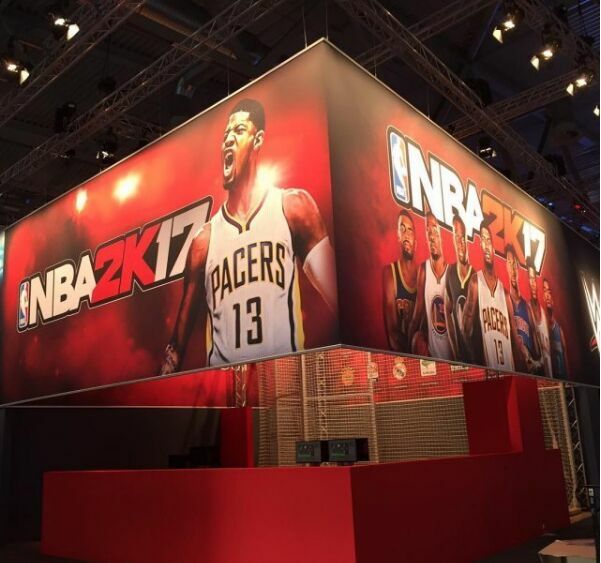 2K Official announced that NBA 2K17 will be at GamesCom in Germany this week. From before we would predict, NBA 2K17 should not have much of a breakthrough, after all, from NBA 2K14 this series has stepped into the era of the times. This year the NBA 2K series from advertising and info preheat, have demonstrated unprecedented confidence. Compared to previous years, the series, NBA 2K17 to the full six months announced two trailers, the rhythm is completely not keep up with the news message players needed to desire. Remember last year, when the NBA 2K16 is not yet available for sale when the official team says that future NBA2K series will likely join VR technology. Think about it exciting, it is not MyCareer will not be a direct transfer from third-person to first-person shooter RPG shooting game. We will soon usher in an explosion during the NBA 2K17 relevant information, and in this long-awaited day, once again recalled NBA2K series. After all, in the hearts of our fans NBA2K annual release date as the New Year the same, because at this time you will always get a long-awaited gift. Providing Cologne Game Show demo of NBA 2K17, in principle, it is not allowed to shoot, but it was still leaking as in the present mode of operation, those who are interested can follow our site. From the operating description, we can see, 2K17 adds a lot of new moves, such as pushing the ball, withdrawal chair, jump pass jump goaltending and the like, simply means that the action is divided finer, operate more complex, higher degree of freedom, and, according to the photographer said this for the screen has been raised. In one of the most highly anticipated games of the year, NBA 2K17 should release more interesting features to attract players' attention while it can't meet with players' expectation now.